Are you looking for a deeper relationship with Jesus Christ? 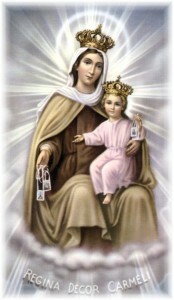 Perhaps God is calling you to discern a vocation in the Lay Carmelite Order of the Blessed Virgin Mary of Mt. Carmel. Through Mary, Carmelites learn a new way of living for God and of loving others after the example of Jesus her Son.